HTC has reduced the price of the its U11 smartphone to coincide with the launch of the HTC U11+ yesterday. While the newer device is available exclusively on Flipkart at a price of Rs. 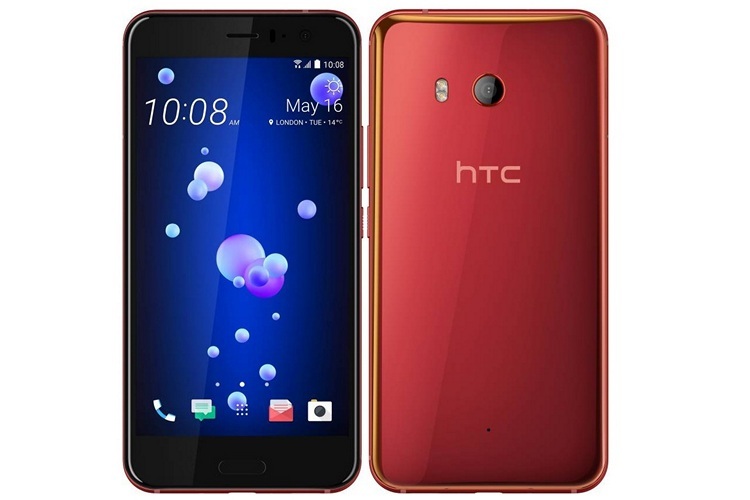 56,990, the HTC U11 will now be available at just Rs. 45,999, which is a discount of Rs. 5,991 over the Rs. 51,990 price tag at launch last year. While the price-cut is applicable on both the available color variants (Solar Red and Sapphire Blue), it isn’t immediately clear if this a permanent price-correction or a limited-time offer. As a refresher, the HTC U11 features a 5.5-inch Super LCD display with QHD resolution (2560 x 1440). Unfortunately, though, it conforms to the old 16:9 form-factor rather than the new 2:1 aspect ratio that’s becoming increasingly common even at the budget-end of the spectrum. Either way, the HTC U11 is powered by the Snapdragon 835 SoC, making it powerful enough to go toe-to-toe with any handset in the market right now. The device also comes with 6GB of RAM and 128GB of storage, while cameras include a 12-megapixel sensor at the back and a 16-megapixel sensor at the front. Even though HTC‘s smartphone division has been having a tough time of it over the past few years, the company continues to stay invested in the sector. HTC also sells a mid-range Android One smartphone called the U11 Life in India. This year, the company is expected to launch an updated U12 flagship, which could be unveiled at MWC later this month.